Building a new home is an exciting experience for the entire family, even the kiddos! Many of our clients’ children are old enough to understand the process of building a home, and we encourage them to involve their children as much as possible. From the initial design phase to moving in, there are countless ways kids can be part of the process. Here are a few suggestions and ways our wonderful clients have involved their kids. Involve them early on in the process. Getting them excited about the process in the beginning is important. We suggest printing an extra set of plans and having them color in their room and other parts of the home with furniture, toys, etc. This is help them visualize their new home and how they will live in it. Starr Homes also provides hard hats to clients to wear when on site. During the ground breaking and excavation process, we suggest grabbing a couple shovels and hard hats and heading to the site. The kids can pretend to help dig and truly feel involved in the process. It also provides a great photo op! Help them make their mark. Building a home that is truly custom to you and your family is a wonderful and memorable experience. Your family will leave their unique mark and make memories for years to come in the home. But did you know there are ways you can make your mark before you even move in that your kids are guaranteed to love? 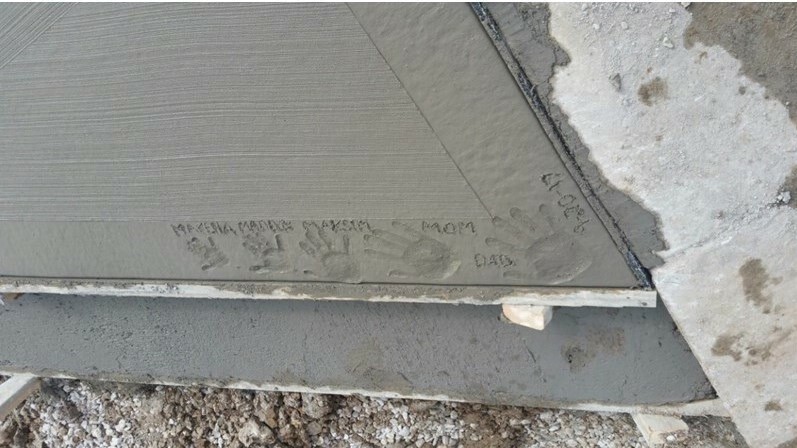 You and your family can sign your names with marker during the framing stage or leave your handprints in areas of wet cement before it dries like our clients did below. This will help establish ownership and pride in the home for the kids. Let them make a few selections. We know leaving the appliance selections to your kids probably isn’t the most sensible thing, but what about the paint color of a wall or hardware on some shelves? 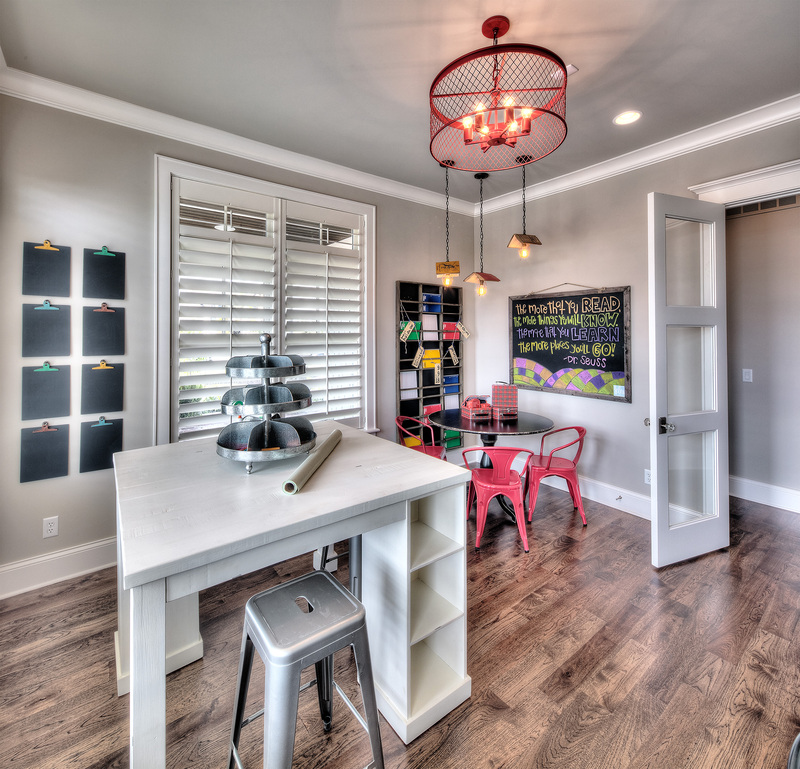 Besides the bedrooms, if you have a room dedicated in the house for the kids, such as a hidden doorway or craft room, we encourage you to involve them in the design and selection process. They will think it is the coolest and most important selection in the entire home. It also makes them aware and appreciate the other details and selections throughout the rest of the home.